The mission of NAPSA is to advance and advocate for the welfare of captive primates. We are constantly evaluating how our member primate sanctuaries can use the unified voice of NAPSA to speak out and initiate change. Our advocacy work involves the regular release of Position Statements and Educational Resources, as well as official responses to harmful depictions of primates in the media. Primate welfare begins with educating the public. 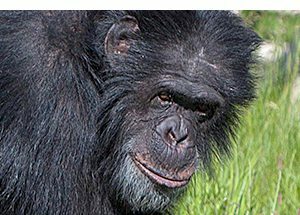 As part of our advocacy program, NAPSA develops Position Statements on topics central to primate welfare. Additional Position Statements will be added over time. These documents are free for public use. Private Ownership of Primates: The North American Primate Sanctuary Alliance (NAPSA) is opposed to the private ownership of primates. Read entire Position Statement. Performing Primates: The North American Primate Sanctuary Alliance (NAPSA) is opposed to the use of primates for entertainment. Read entire Position Statement. Monkey Rodeos: The North American Primate Sanctuary Alliance (NAPSA) is opposed to monkey rodeo shows. Read entire Position Statement. Service Monkeys: The North American Primate Sanctuary Alliance (NAPSA) is opposed to the use of monkeys as service animals. Read entire Position Statement. Also part of our advocacy program, NAPSA’s Educational Resources are the result of our collective expertise. It is our hope that these documents will encourage advanced primate welfare. These documents are free for public use. How to Start a Sanctuary: NAPSA and its member sanctuaries are approached often by people seeking advice on how to start their own sanctuary. Although there is no precise formula for the successful founding and maintenance of a sanctuary, there are important things to keep in mind. Read entire Educational Resource. How to Transition to a Sanctuary: Animal care facilities may wish to become sanctuaries but can be overwhelmed with the necessary changes, and aren’t sure what steps to take. Transitioning to a true sanctuary is better for the animals and also better for gaining public support. Here are some ways to begin making the shift: Read entire Educational Resource. True Sanctuaries vs. Pseudo Sanctuaries: NAPSA is dedicated to educating the public about characteristics of reputable sanctuaries, as well as attributes of facilities that should be avoided. Read entire Educational Resource. The Use of Posed Primates on Greeting Cards: Historically, goofy images of trained apes and monkeys have been popular subjects of greeting cards, often wearing clothing or partaking in human activities. Although this practice is waning, a variety of such cards remain available in stores. Have you been dismayed to receive such a card from a well-meaning friend? Share this information below to help spread the word about the facts behind the images on the card. Read entire Educational Resource. As experts in primate welfare, NAPSA is compelled to contact celebrities, publications and other organizations who may interact with or depict primates in an exploitive manner. It is important that NAPSA actively work to end harmful depictions of primates in the media, as this has a direct link to the opinions formed by the public regarding primate conservation and the species’ suitability as privately owned “pets.” Go to NAPSA Responds. In recognition of the value of all animals, NAPSA is proud to endorse FOOD FOR THOUGHT. All meals served at NAPSA-sponsored meetings are vegetarian, with vegan options always available.